Already riding high in the album charts following its release last week by Polydor, the soundtrack was produced and arranged by ABBA’s Benny Andersson and features 18 classics performed by the film’s all-star cast including seven of ABBA's nine number one hit singles. 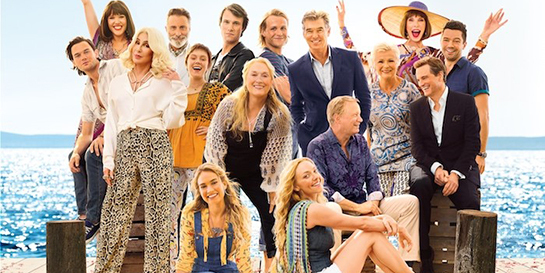 The sequel sees Meryl Streep, Amanda Seyfried, Pierce Brosnan, Colin Firth, Stellan Skarsgård, Julie Walters, Dominic Cooper and Christine Baranski reprising their roles from the first movie, with Lily James and Cher joining the cast. All except Julie Walters were in Hammersmith on Monday night for the film’s world premiere at the Eventim Apollo. So far, the film has had an impressive response from the critics, with the Guardian, Times and Telegraph agreeing it is irresistible, the latter declaring it “feelgood gold”. Mamma Mia! Here We Go Again is in cinemas tomorrow in the US and the UK, 10 years to the week after the original film's release. That film’s soundtrack went on to sell more than 5m copies worldwide and was an Top 10 album in more than 20 countries, including the US where it reached number one and sold 1.7m copies.